I was invited to a luncheon a couple weeks ago but didn't get there because of travel schedules. 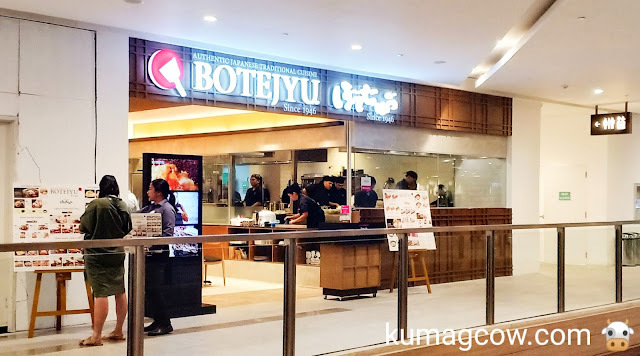 One of my favorite joints called Botejyu owned and operated by Viva International Food and Restaurants Inc. (same mother company with Viva Films) just opened up shop at the 3rd floor of One Bonifacio High Street Mall in Taguig. Honestly, I didn't know the mall existed til now, but it sits right across the Mango boutique in Shangrila Fort Bonifacio along 5th Avenue. 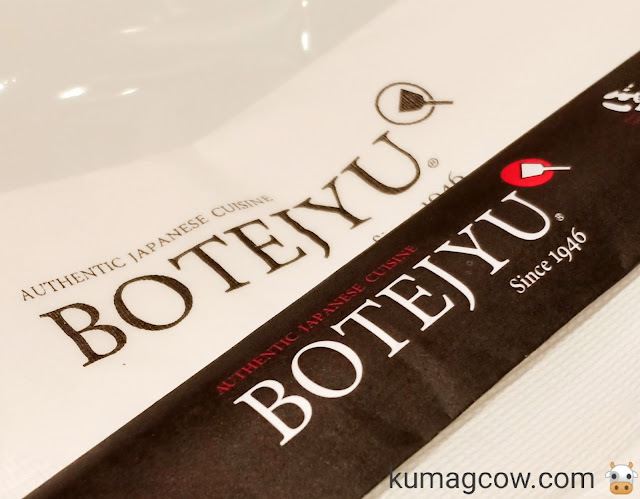 Botejyu is an Okonomiyaki and Okosoba specialty restaurant from Japan. In a nutshell, the name comes from the Japanese impression of how the Okonomiyaki pancake sounds as they flip it on the teppan or steel plate and how it sizzles til it gets crispy outside and soft and fluffy on the inside. 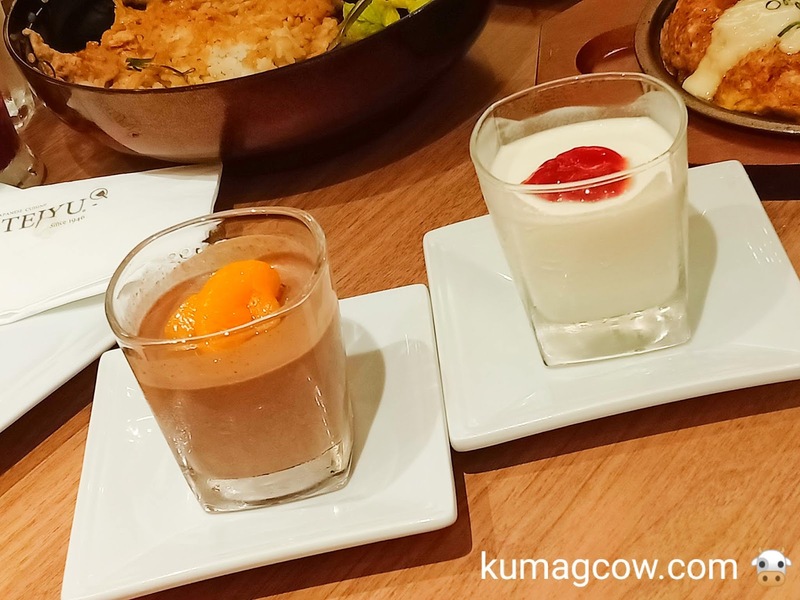 Their menu is filled with different versions of it but what tickled my fancy during this visit were a couple of things. Of course there will be Okonomiyaki, but take a look at this. Their Grape Shake wasn't overly sweet, it was just right and might be a good accompaniment for the savory dishes that were about to come to the table. I could taste the tannin of the red grapes they used for this drink, so it is legit. Very refreshing! The Bacon and Cheese Okosoba was already halved when it reached me. 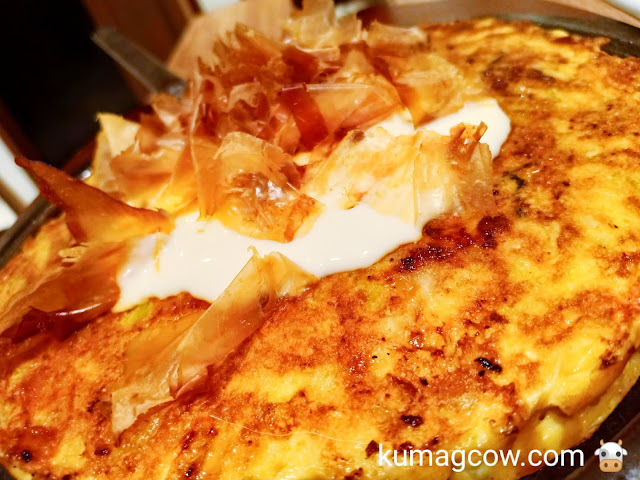 This is an Okonomiyaki with a filling of soba noodles, bacon and cheese inside. As you may prolly imagine, this is a good representation of east meets west because you get the firm springy noodles with the smoky flavor of bacon and melted cheese. Who doesn't love cheese eh? This is good for sharing, around 3-4. The Pork Cutlet with Egg Rice Bowl was filling. You get white rice, breaded pork with sauce and a serving of fresh salad on the same bowl. If you're a big guy like me this would be good for one but if you don't eat that much rice, go ahead and share as their servings are a bit large. This is one of 4 donburi varieties so order this if you want a rice meal today. 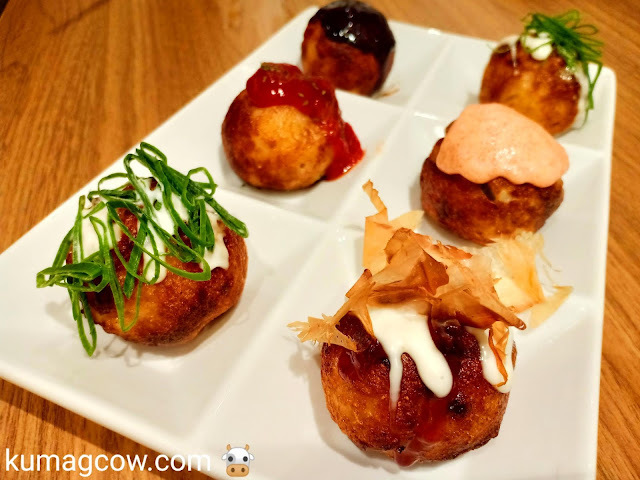 My personal favorite is the Takoyaki All Star! 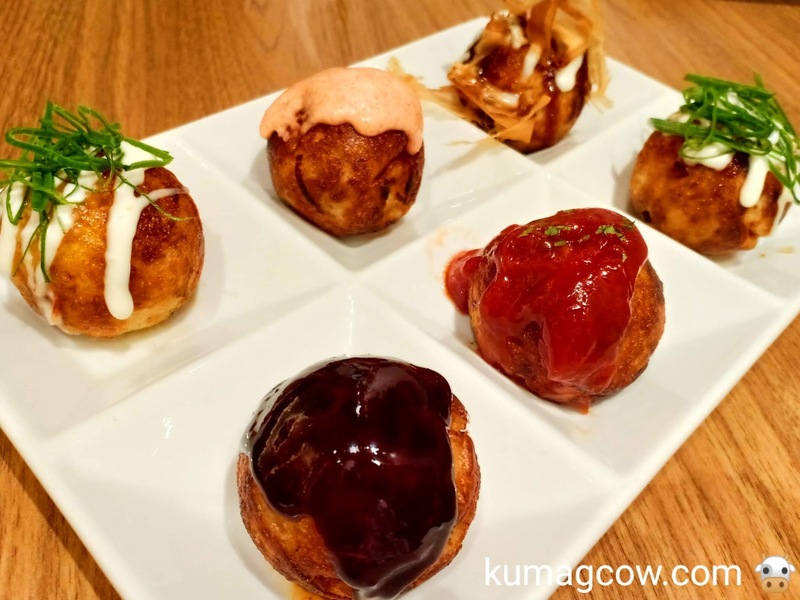 It's firm outer shell and soft interior are what Takoyaki dreams are made of. You can also treat this as a sampler because each piece has a different sauce on top of it. Although I was looking forward to the original Takoyaki, this was a welcome surprise and I loved it! 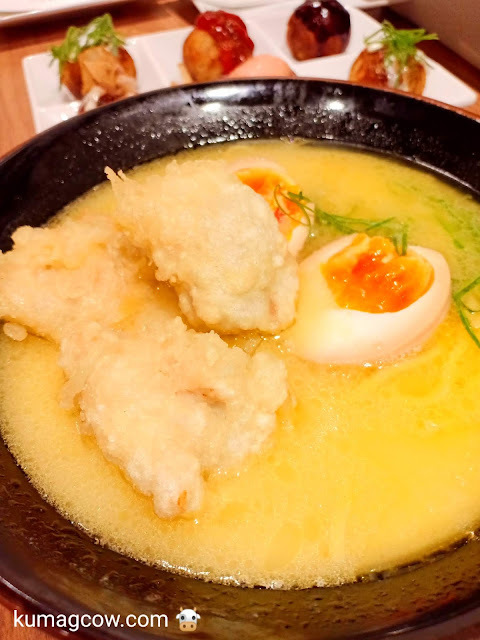 This one's called Kyoto Paitan Ramen. They serve the chicken pieces separately so that when you do decide to eat, you can just drop it off the bowl and enjoy. It's a bit on the salty side and the ramen likens egg noodles. It is also served with half boiled tamago and springs of onion leeks. If it's raining hard outside this could warm you up in a jiffy. 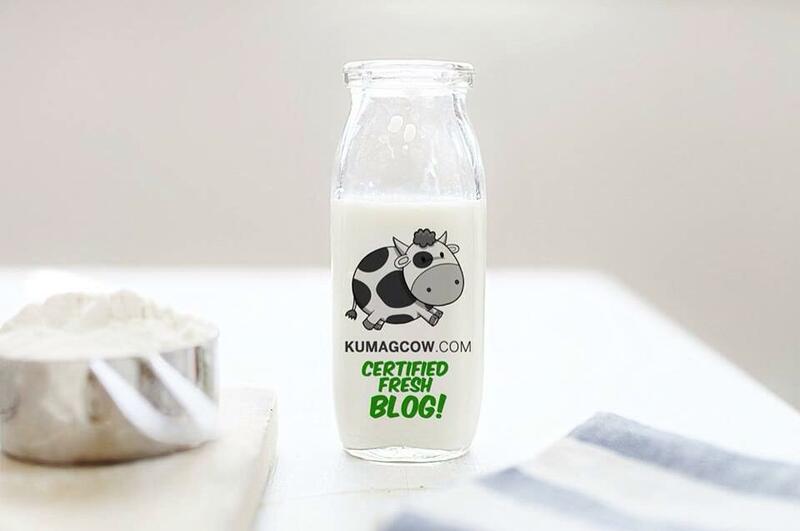 It is rich in collagen too, so you get skin nourished while you eat, imagine that! This is their Mochi and Gouda Cheese Okonomiyaki. 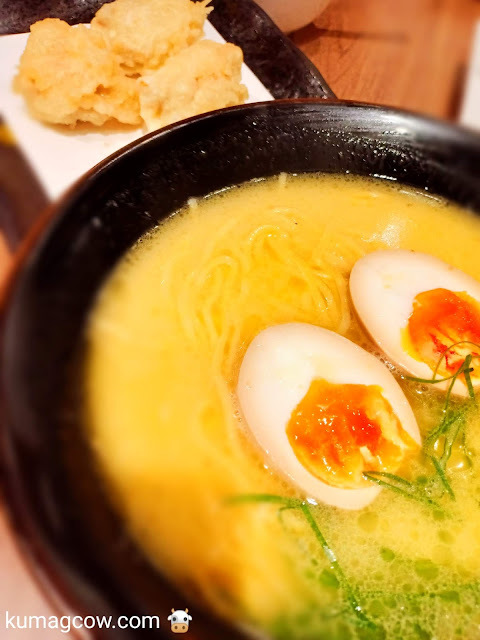 The name alone would make you salivate as it is served hot with soft melted mochi pieces and cheese inside the fluffy scrambled egg. I suggest you finish this fast because it wouldn't feel the same if it's already cold for obvious reasons. I like this the most amongst their various Okonomiyakis. Do not order one or the other, order both! These chocolate and milk pudding is just so good on so many levels, you need to treat yourself every once in a while anyway! 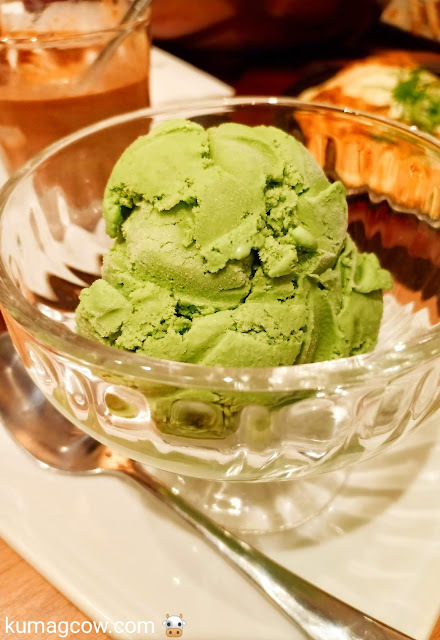 For matcha lovers, try the Matcha Ice Cream in this store. Ruth loved this so much she finished it in a few minutes LOL! If you want something fancy to end your lunch or dinner, try the Honey Toast with Brown Sugar Syrup and Creamy Kinako. 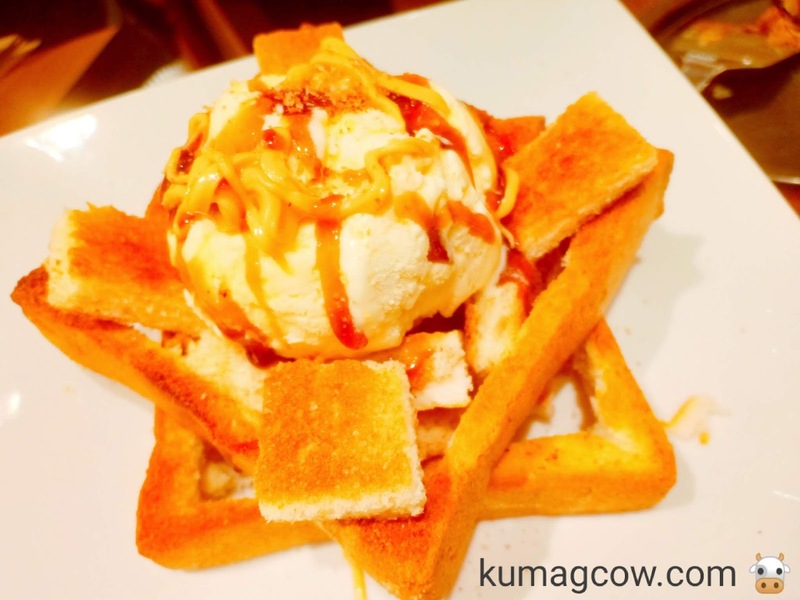 The crunchy toasted bread topped with vanilla ice cream, brown sugar and Kinako syrup makes you appreciate the existence of sugar in your life. Everything is better when you share so please do! Now for people in BGC and nearby Makati and Taguig, if you're in the area and want a more filling but comforting Japanese meal, make sure you visit Botejyu at the 3rd floor of One Bonifacio High Street Mall and enjoy these dishes. Their dishes cost around 300-400 pesos so bring around 1,500 for two people (if you have a date please order dessert). 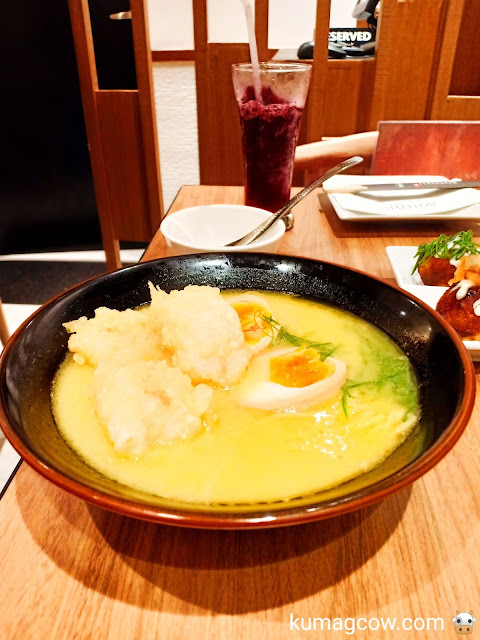 This is the new Asian comfort food you are looking for, I have always dined at their Vertis North Branch on Sundays and I vouch for their service and good food.